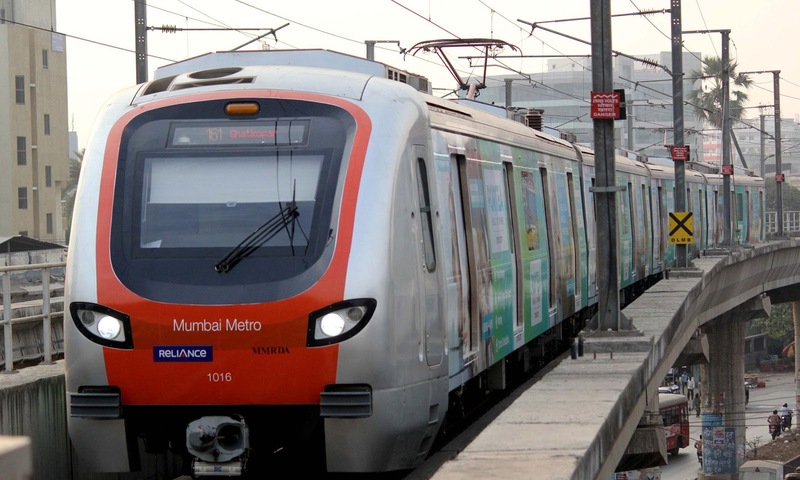 Mumbai: From May, MMOPL (Mumbai Metro One Private Limited) will source 30 per cent of its non-traction energy requirement through solar panels which have been installed at Andheri & Ghatkopar Metro stations. The initiative is a part of Mumbai Metro One’s `Go Green Go Clean’ campaign launched to mark its second anniversary. Metro One’s annual auxiliary power requirement for non-traction use is approximately 11MW. The solar photovoltaic (PV) plants are being set up on Renewable Energy Service Company (RESCO). A power purchase agreement (PPA) has been signed with the vendor to setup & operate the plant for 25 years on a fixed tariff of Rs 5.10/unit. “We will purchase the electricity at Rs 5.10 per unit and all the expenses, including installation, operations and maintenance will borne by the vendor,” an MMOPL spokesperson said. The entire rooftop solar power generating system will have an installed capacity of about 2.30 mega watt peak (MW) which will generate 3.2 million units per year. Also, Mumbai Metro has initiated the retrofit installation of LED lighting at stations, depot & administrative buildings to reduce its electricity consumption. “Electricity generated from the solar panels will be utilized for operations of various stations equipment such as lighting, air-conditioning, lifts, escalators and pumps,” the spokesperson said. A total conversion of all lighting at Mumbai Metro One’s depot, administrative buildings & stations to LED lamps will also be undertaken simultaneously and is expected to cut the consumption on lighting by half.